Pithapur Rajah’s College, Kakinada ranks among the earliest institutions of Higher Education in South India. It is located in East Godavri District of Andhra Pradesh. P.R.College was established in August, 1884 by Sri Rajah Rao Venkata Mahipathi , Gangadhara Rama Rao, Bahadur. First it was started as a middle school, and became a full fledged College. The present District Central Library , Super Bazar and DEO’s Office were part of P.R College campus once.P.R College has two campuses, Science College campus is near main road and Arts College Campus with sprawling grounds of nearly 28 acres is situated near Government General Hospital. McLaren High School is on the eastern side, District Collectors Office, Zillaparishad and C B M School are on the western side of P.R College. Pithapur Rajas Govt College, East Godavari offers various graduate courses as well as Post Graduate courses. 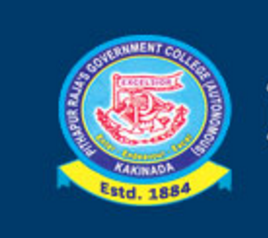 Pithapur Rajas Govt College, East Godavari is affiliated to DR Babasaheb Ambedkar Technological University, Lonere. List of facilities available at Pithapur Rajas Govt College, East Godavari for students.